The aim of the arts programme at Opaheke is to expose students to a range of arts activities and to encourage all children to participate actively in these activities. Our school has adopted an integrated approach whereby the four disciplines are focused on throughout the year. The teachers are given guidelines to follow and by the end of the year dance, drama, music and the visual arts will have been covered by all levels of the school in differing forms. 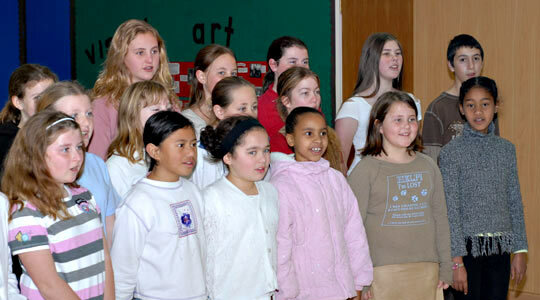 At the end of the school year, Opaheke School showcases these four disciplines together in a school concert for the children’s parents and grandparents. 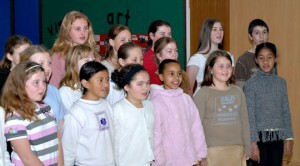 It is a lengthy and in depth show which sees the children sharing the work that they lave learned over the year. Click the link below to read more about our arts room.